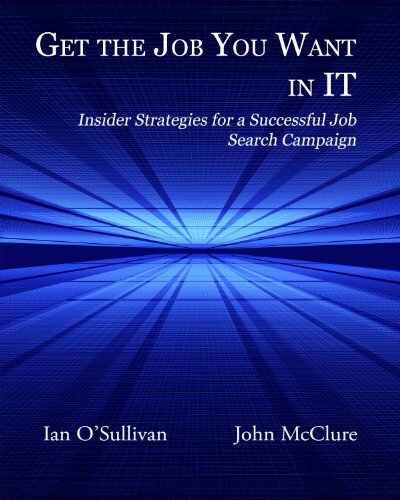 Tips To Improve Your Job Search Campaign! Tips to analyze your and improve your job hunting results. Your car won’t start or your dishwasher quits working what’s the first thing you do? Right, you begin troubleshooting. Sometimes it’s easy to fix-maybe your car is out of gas or the circuit breaker is tripped to the dishwasher. All solved through carefully examining the simple and obvious before we call in the experts. Here are some simple and obvious job hunting problems that you can probably fix yourself. If your job search has been going on for some time with unacceptable results maybe it’s time to do some critical thinking and analysis of your job hunting efforts. First, you have to discover where your job search is not working and fix what is wrong, or develop additional options and perhaps move in another direction. Further, some of your job seeking efforts may need to be analyzed to find out what specifically you can do to improve results. 1. Problem: Not generating enough viable job openings. Usually this is caused by career and job goals that are too broad or you are restricting your job search to a narrow geographical area or an industry where there are few job openings. Take a careful look at your career objectives. Focus your job hunting efforts that closely match you skills and qualifications. If you are changing careers work hard on finding transferable skills that match the qualifications for the new career. Work more on uncovering job leads by networking. Make sure everyone in your network is crystal clear as to your job objectives. Spend more time researching possible job opportunities. Reject possible dead-end careers and industries. 2. Problem: Few good results compared to effort. Probably no job search plan, with measurable daily job hunting effort. May be not spending enough time on productive job hunting efforts. Build a job search plan with daily, weekly and monthly goals. Make you goals measurable and celebrate each milestone. Get off the job boards and spend the time in more productive pursuits like networking and appropriate research. Plan on working full-time on your job search campaign. After a medical check-up add some regular physical activity goals to your job hunting plan. Watch your diet. This combination will add to your self-confidence and job hunting is all about self-confidence. 3. Problem: Little or no telephone or face-to-face job interviews. Probably caused by a too general a resume and a cookie-cutter cover letter and few job leads from you network. Focus you resume and cover letter on the specific requirements and qualifications required to do the job. Re-energize you network. Work harder to add more people to your network. Since it’s been said that up to 75% of all positions are in the “hidden” job market plan to do more, make more contacts, ask for referrals and widen you network to generate more interviews. 4. Problem: Interviews but no job offers. May be caused by too little interview research and preparation. Improve you interview communication skills by video taping mock interviews. Practice both telephone interview techniques and face-to-face interviewing skills. Work hard to eliminate annoying habits. Practice good answers to tough questions. Research the employer, the industry and the interviewer. Have questions ready to turn the interview into a conversation. Search your network to learn more about the open position and possible employees currently working for the employer. Sell yourself as a problem solver who can resolve the challenges facing the job, department and possibly the company. If any of these job search problems match what may be wrong with your job hunting efforts, hopefully we’ve got you started in the right direction. At a minimum it should spark an examination of your job search campaign and motivate you to upgrade your activity in areas that you can improve. Taking daily action on these upgraded methods should help you find the right job sooner rather than later. John Groth has changed careers seven times during his working life. Learn more about job search techniques and career planning at http://careersafter50.com. Discover how others over age 50, built winning career plans and found the right jobs and careers by career planning after 50.